Hey, babes! Finals week is here and guess who's not excited for it? Me! Yay! But the best thing about finals is that the semester is ending! Now that I'm super excited for! Woo~ What are you guys' plans for the summer? Anyway, on to the post, today I'll be showing you guys the BH Cosmetics Sculpt and Blend Brush Set and my review on it. I bought this set on TJ Maxx. which is great for buying makeup on sale! And it retails for $32, I bought it for $20 something and it's on sale on their website for $16. I was very excited to try this set! The bristles are super soft to the touch and picks up a lot of product. 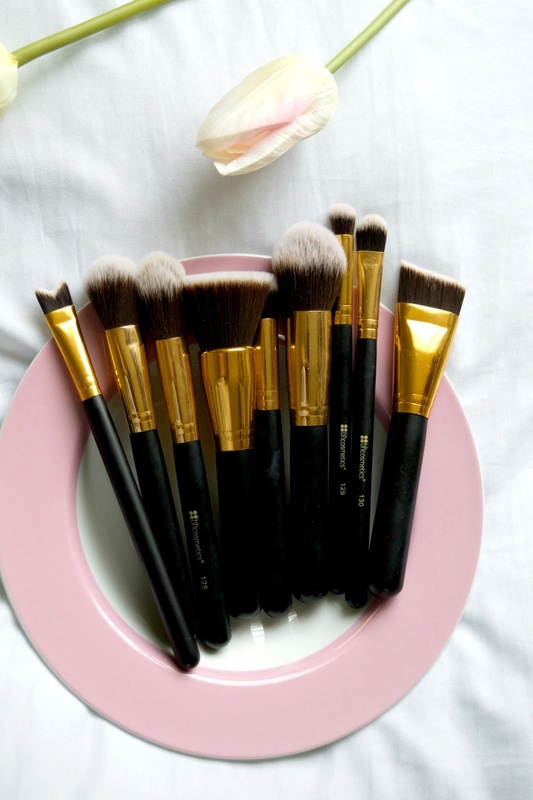 I adore how gorgeous these brushes look! So aesthetic! *heart eyes emoji* ~ They feel as strong and sturdy as they look. They are very expensive-looking and feeling which surprised me for the price. They look flawless on display on your vanity and I love the white bristles in contrast with the brown. Gorgeous!! I don't think I can say it enough! They work beautifully as well which is perfect! The best thing about this set is that it has all that you could possibly need, the only one that's missing that I wanted is a fanned highlighter brush. I would prefer that instead of the nose contour brush which I will probably never use. The one negative thing I have to say about it is that when I first got it out of the box, they have a really strong chemical-y smell. But after washing them, the smell thankfully disappeared. That's it for today, I hope you guys enjoyed this post! 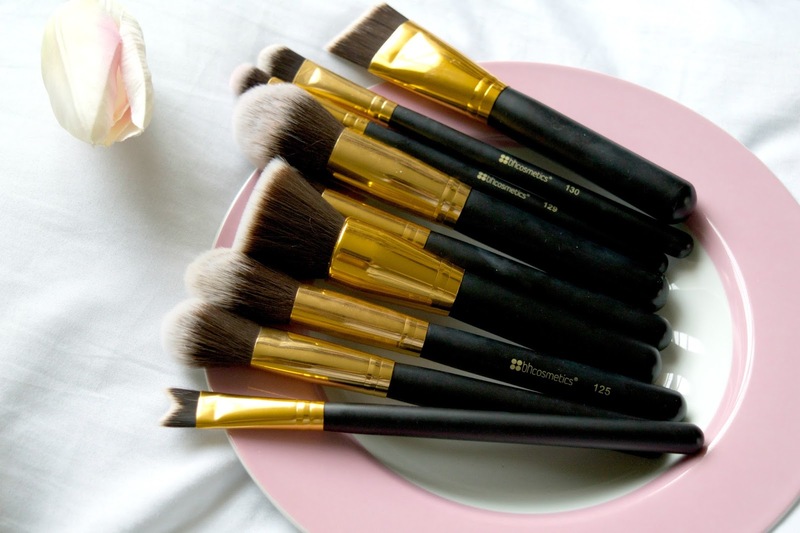 Tell me below what brush set you guys have and love! Don't forget to follow me on bloglovin' and stuff~ I'll see you soon, babes! I love BH cosmetics and will definitely make a purchase there for this brush set!! I never knew that this brand did brushes, have I been living under a rock haha? !